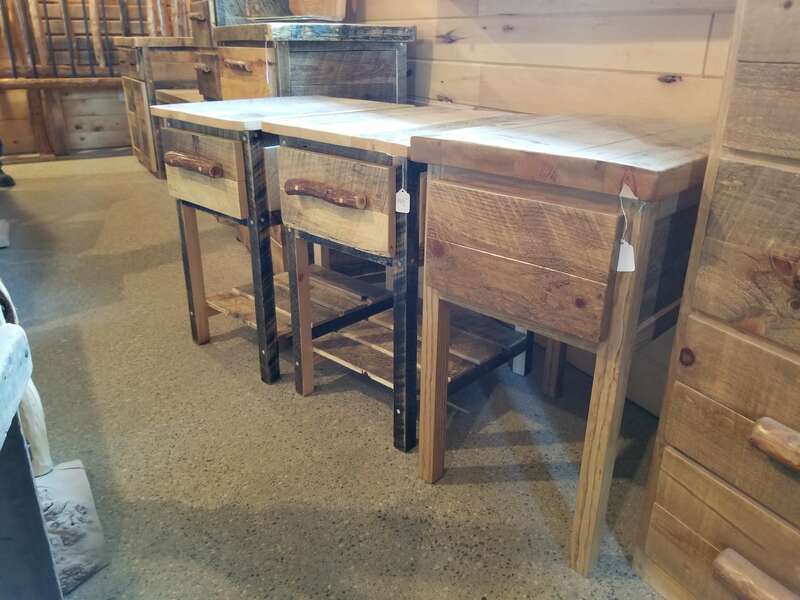 Rustic furniture evokes the feeling of a simpler time, when the world turned more slowly and quality, rather than quantity, was what mattered. 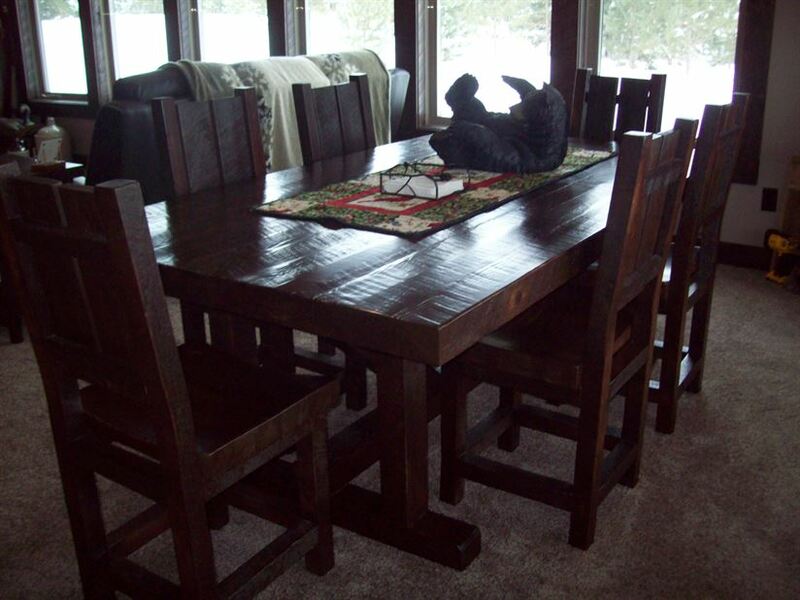 The kitchen table was the place we ate our meals, visited with neighbors, played cards and did homework; it was the place that memories were made. 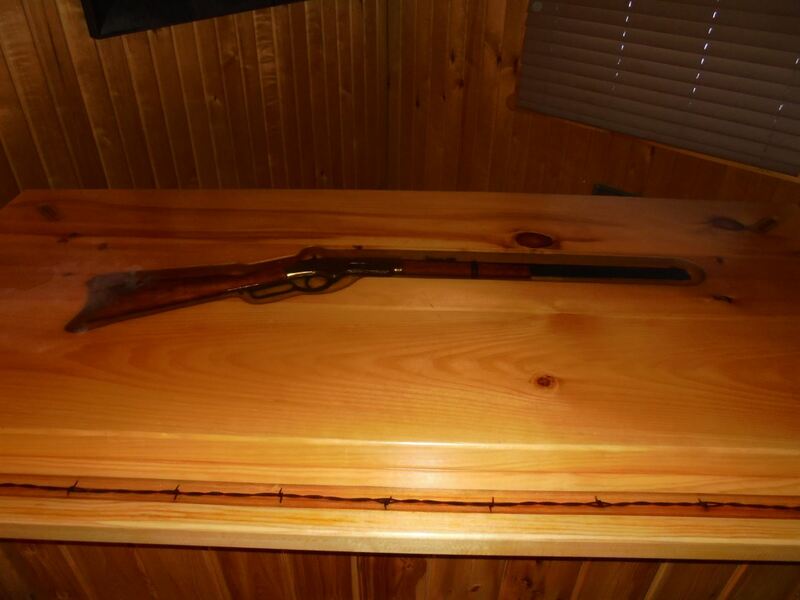 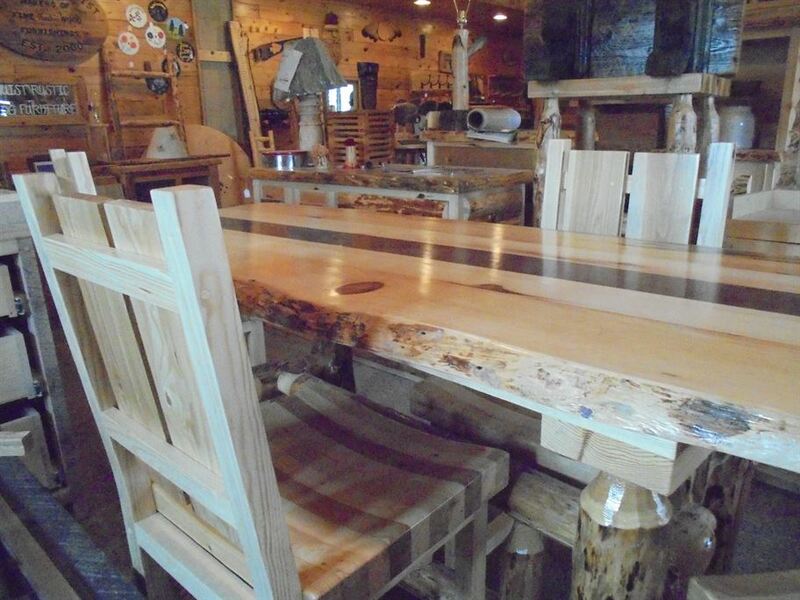 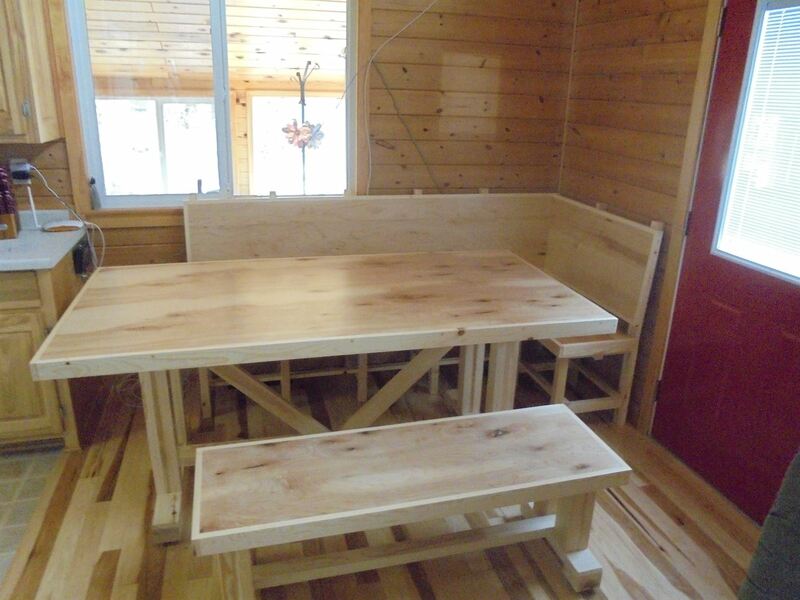 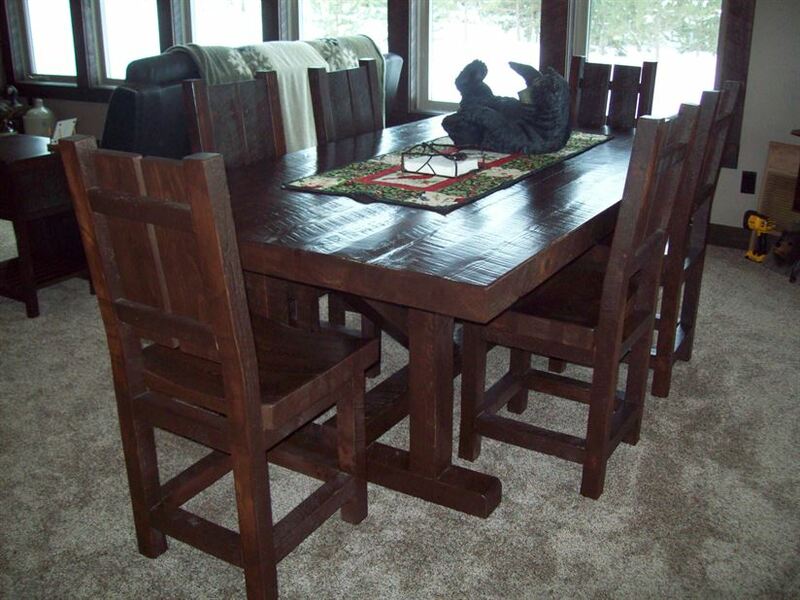 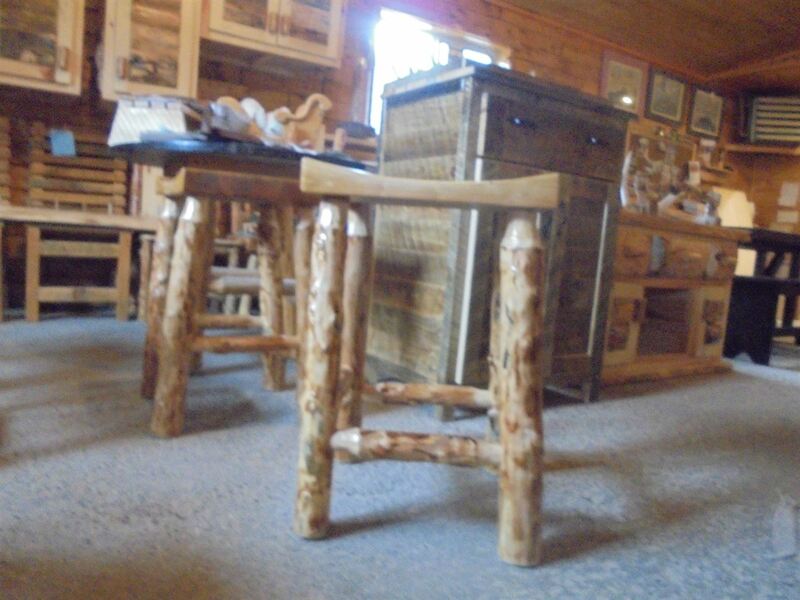 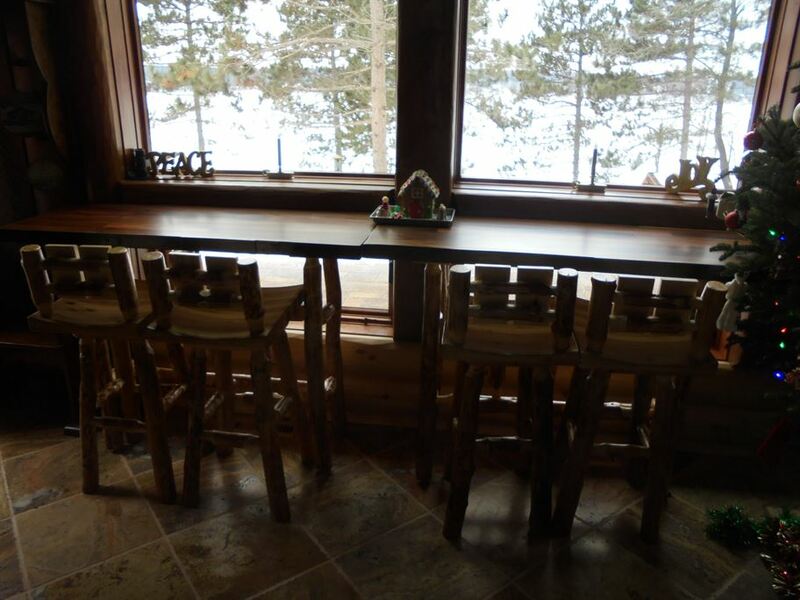 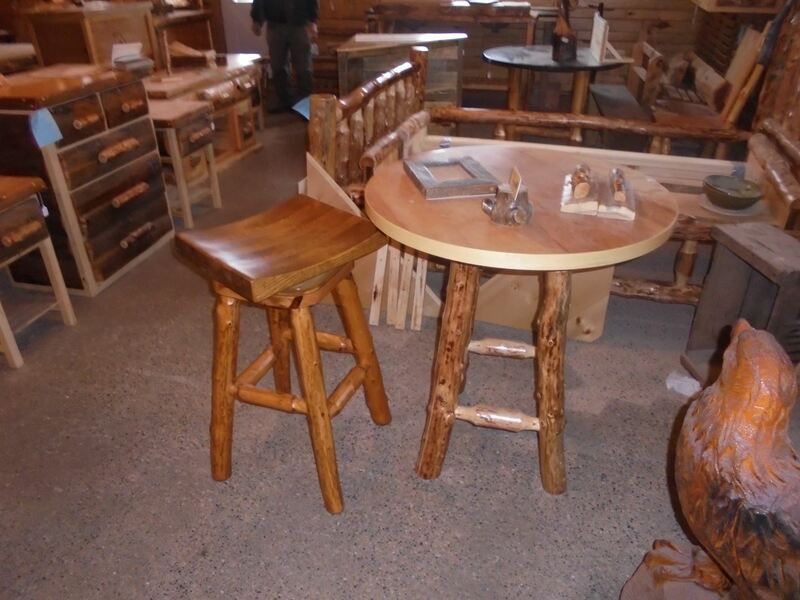 At Landquist Rustic Wood Furnishings of Park Rapids, MN, we still believe in the power of a simple life. 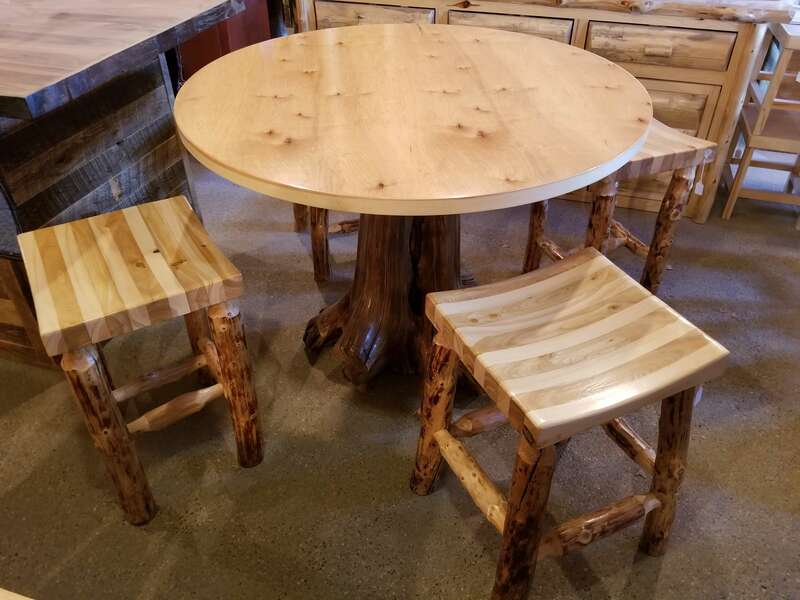 Our goal is to produce high-quality furniture from un-milled wood that will last for generations and hold a million memories. 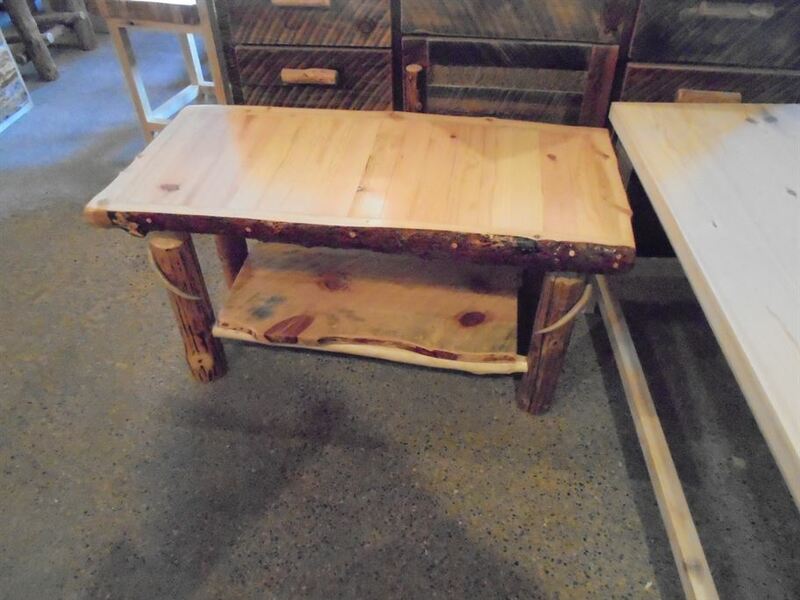 We have a large selection of tables and end tables available for purchase in our showroom. 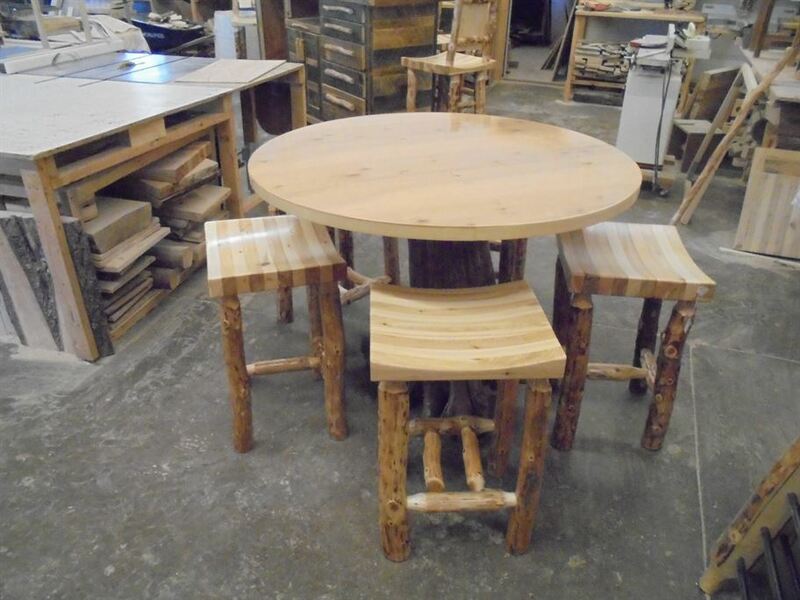 No two pieces of furniture that we create are ever exactly the same, but we will build ‘matching sets’ that are alike in style and design, based on your preferences. 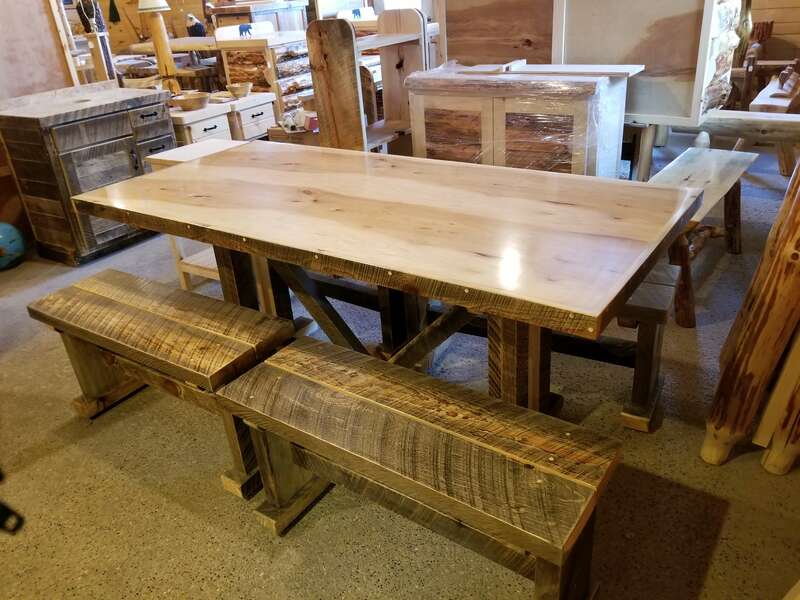 Every item we create follows the same simple process: it begins in our workshop, moves to our showroom, and ends up in your home or business. 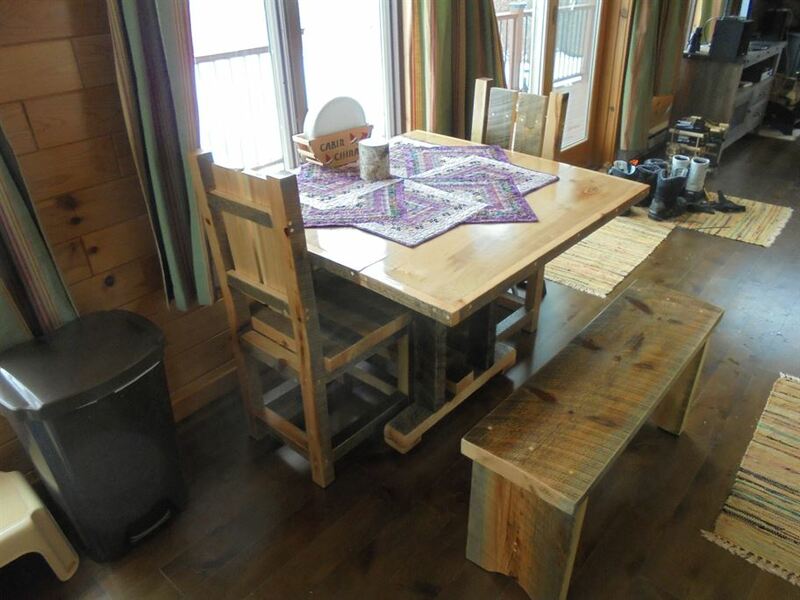 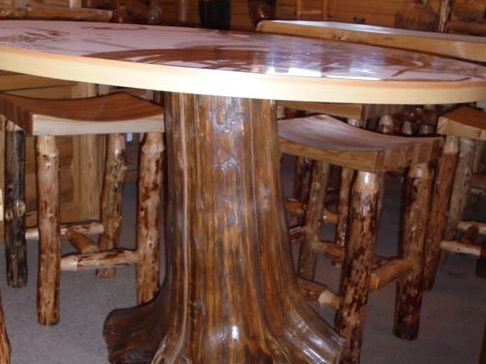 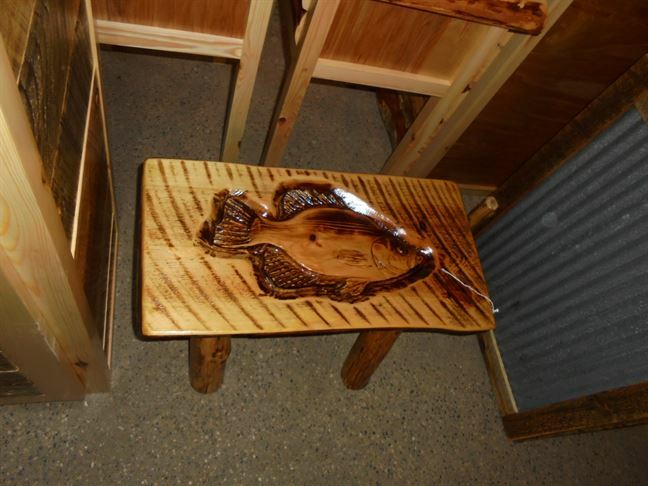 Our one-of-a-kind tables and end tables are created with raw, un-milled tamarack, cedar, or pine. 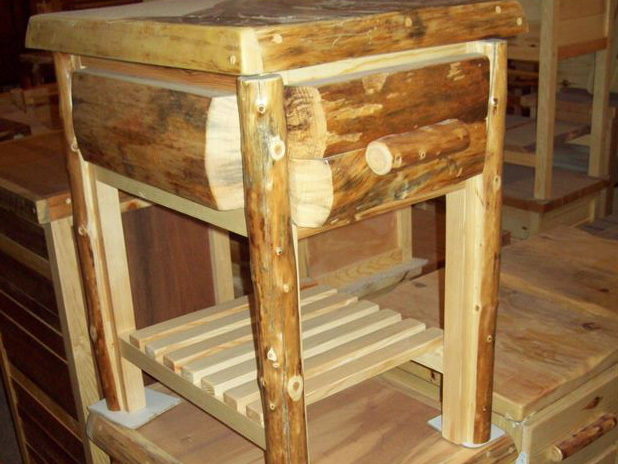 Our craftsmen will help you design something that fits in with your own personal sense of style. 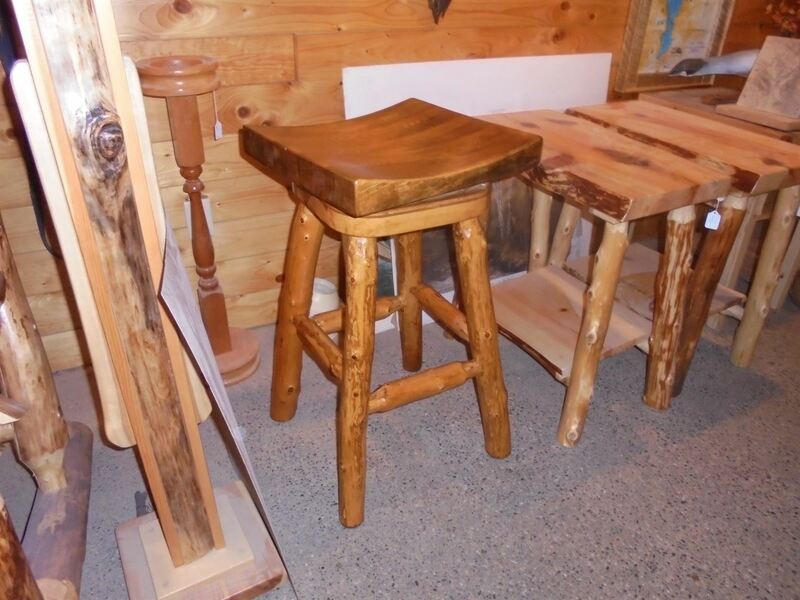 From country farmhouse to up north cabin, and from contemporary to vintage, we’ll help make your rustic dream a reality. 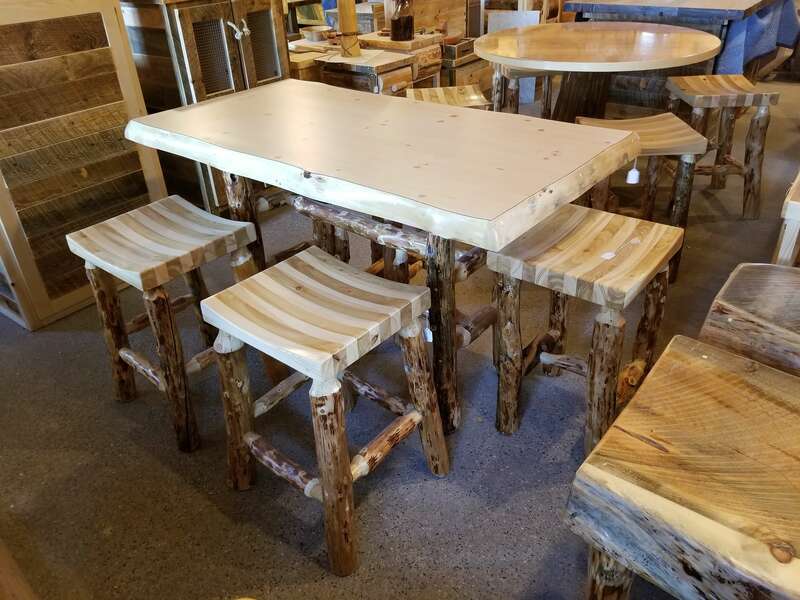 Because we’ve cut out the middle man and sell our tables directly to the public, you won’t find higher-quality furniture or better prices anywhere else. 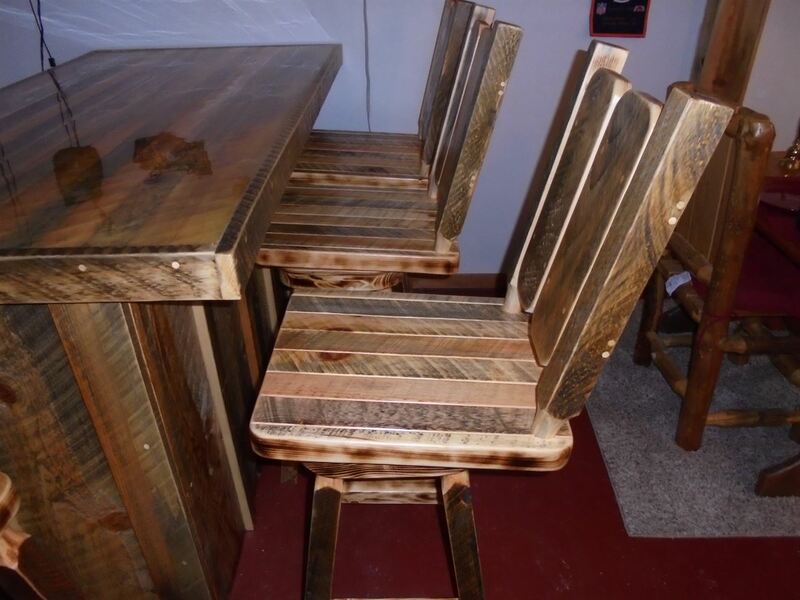 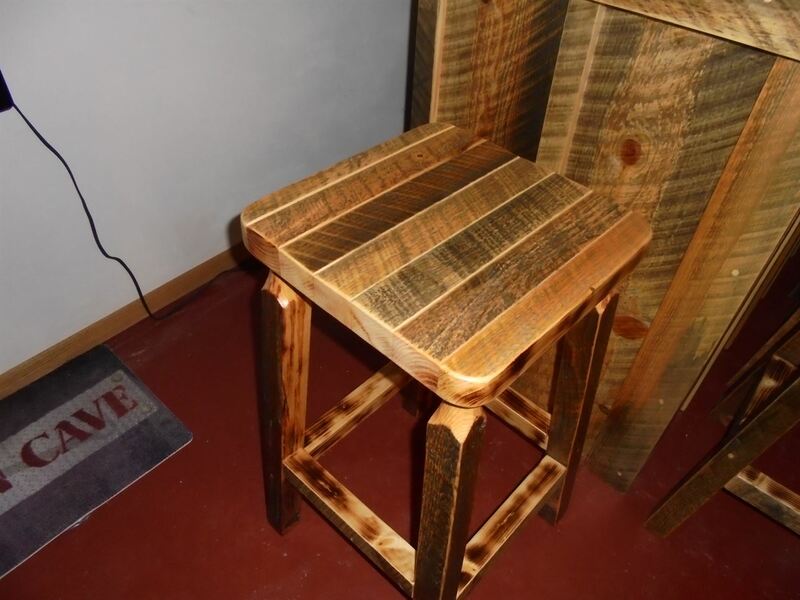 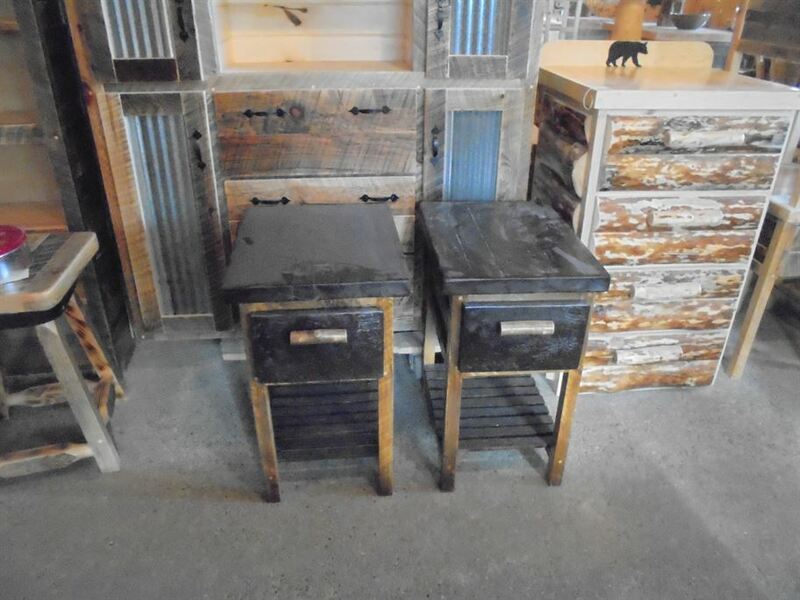 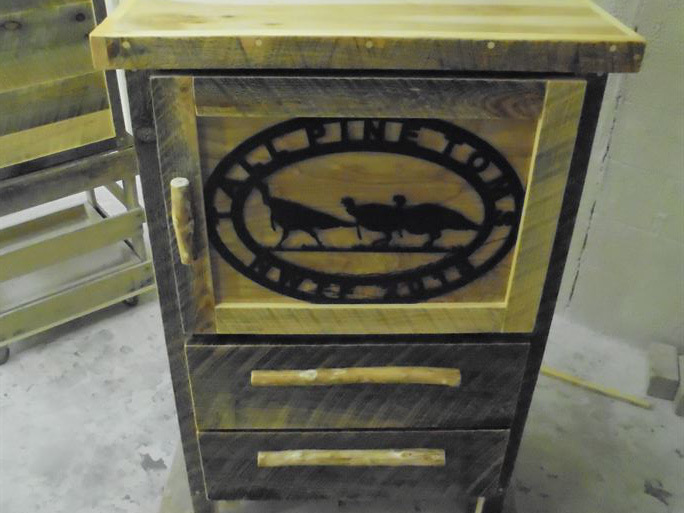 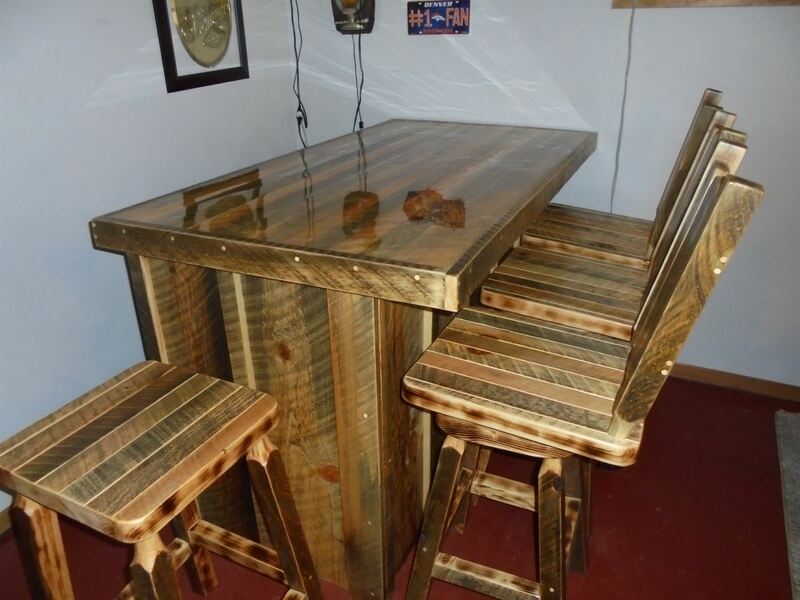 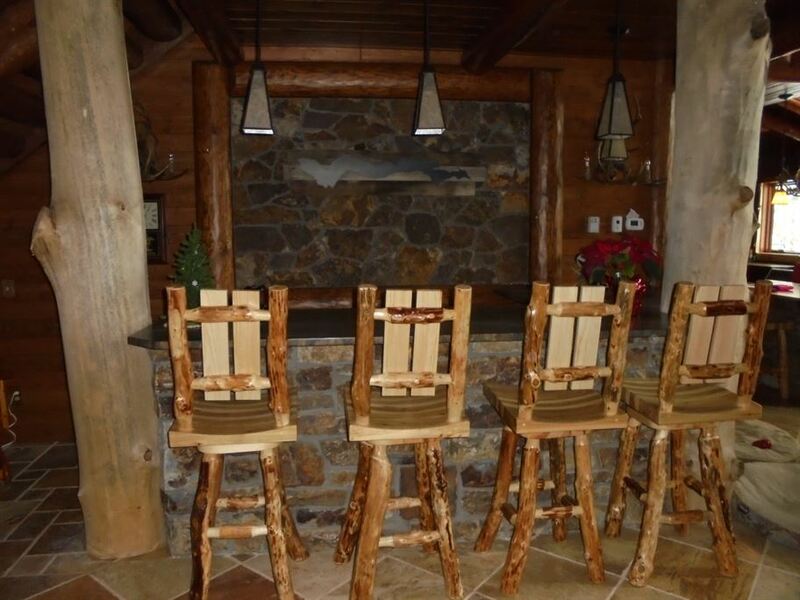 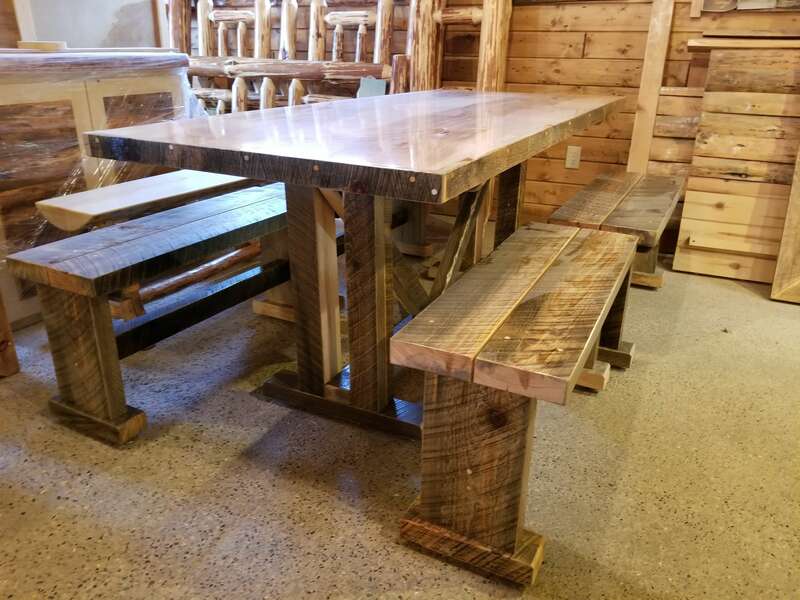 We believe in using the best materials and time-tested techniques to product magnificent, affordable rustic furniture that will last a lifetime. 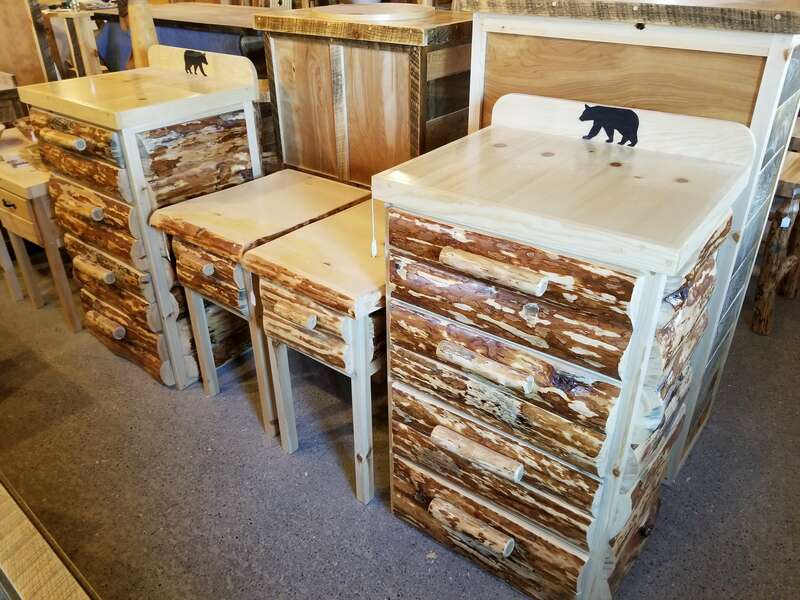 Visit our showroom in Park Rapids, MN, today, and see for yourself why folks drive halfway across the country to browse Landquist Rustic Wood Furnishings. 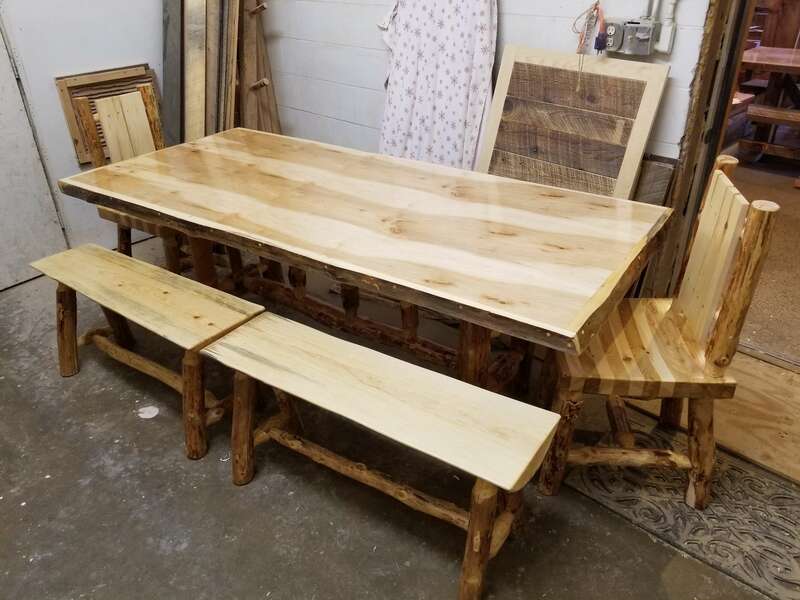 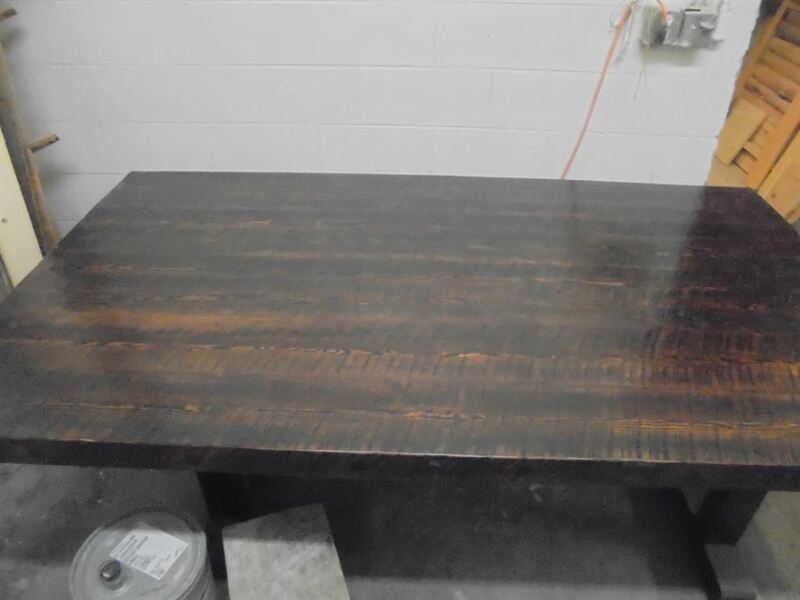 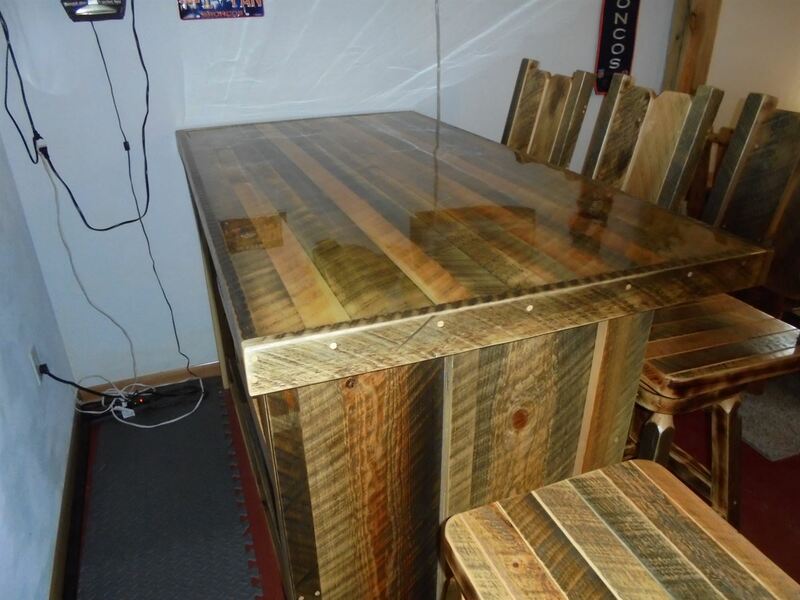 Shop with peace of mind, knowing we are fully bonded and insured, and offer a 100% customer satisfaction guarantee on all our handcrafted tables. 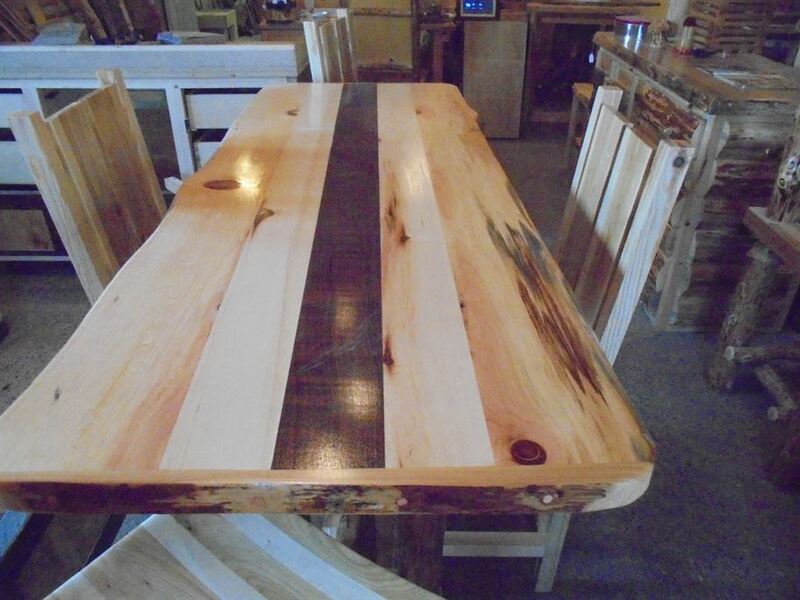 We’re locally-owned and operated, our wood is never milled, and everything is designed and built right in our shop. 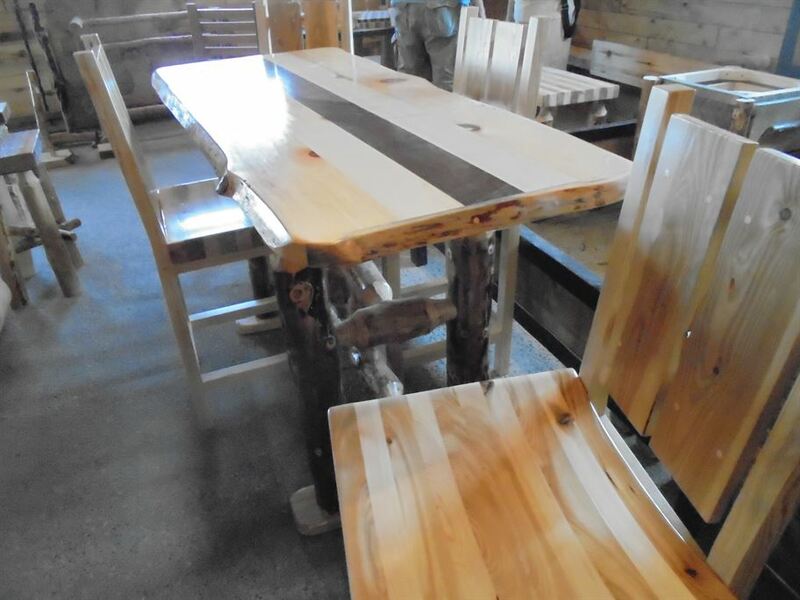 We offer flexible hours so you can browse our showroom on your schedule. 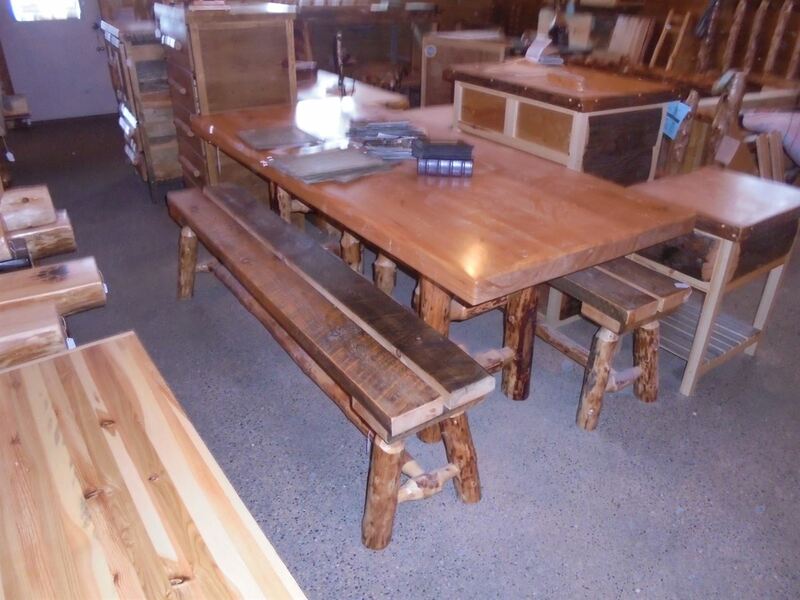 With extended weekday and weekend hours, we’ll be here when you can fit us in. 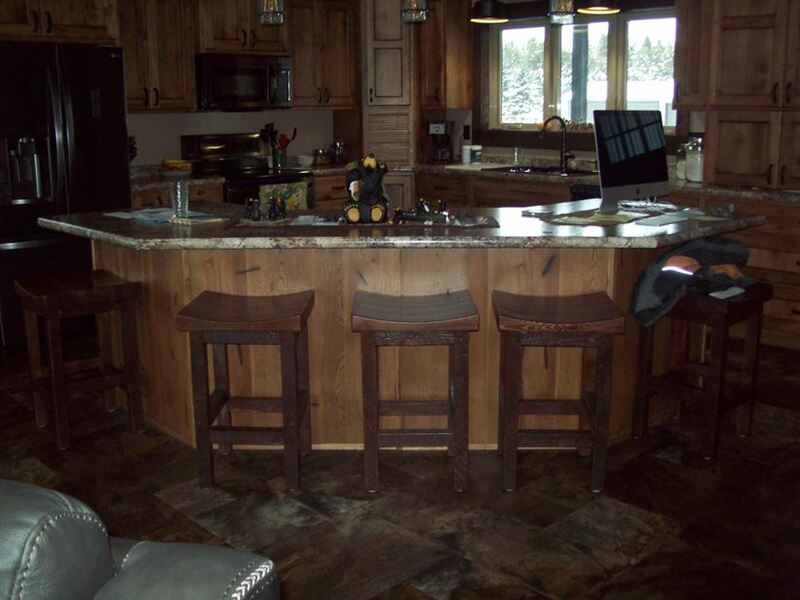 We’ll make your rustic dreams a reality.